Trip started as usual Juwan headed to my house. We pulled bait and loaded yak etc. Sat around for a bit thinking of a place to fish we knew the back bays have been on fire. So we ended up fishing a spot we've never fished before kayaked out a whole ray on the duel and the 14/0. Nothing was happening till around slack tide. My duel got hit i sent into it pulling super heavy drag. Wasn't sure what it was because we were way back In the bay. The fish pulled some really heavy drag with surges I went straight to full because I had 300 Bullbuster premium mono on my reel and knew it wasn't popping. Got it a little closer and noticed it was a little goliath. So we walked it down the pier and snapped a few pics. 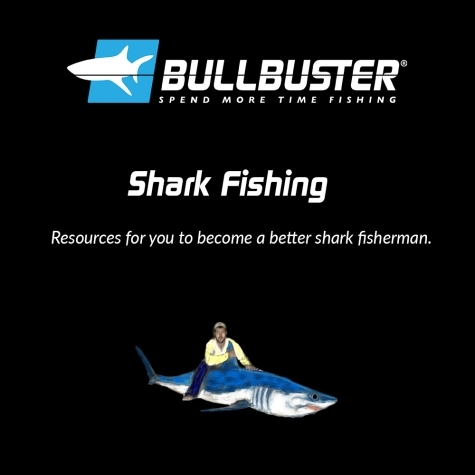 Stay tuned for some more fishing report and remember never pay retail again right here at BULLBUSTER.NET.